So the Americans and the Russians are falling out again. The Kremlin is “disappointed” the US cancelled bilateral talks due in September, since Russia granted temporary asylum to Edward Snowden. 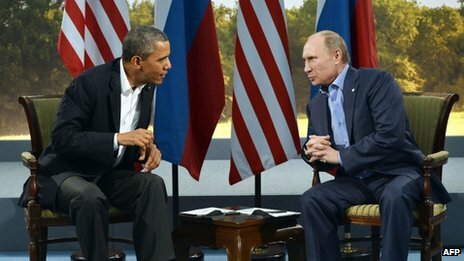 Vladimir Putin’s foreign affairs adviser said the move showed the US could not deal with Russia on an “equal basis”. A White House spokesman said Mr Snowden’s asylum had deepened the pre-existing tension between the two countries.